How to choose perfect sofa for your lifestyle? How to choose the best sofa for your lifestyle? 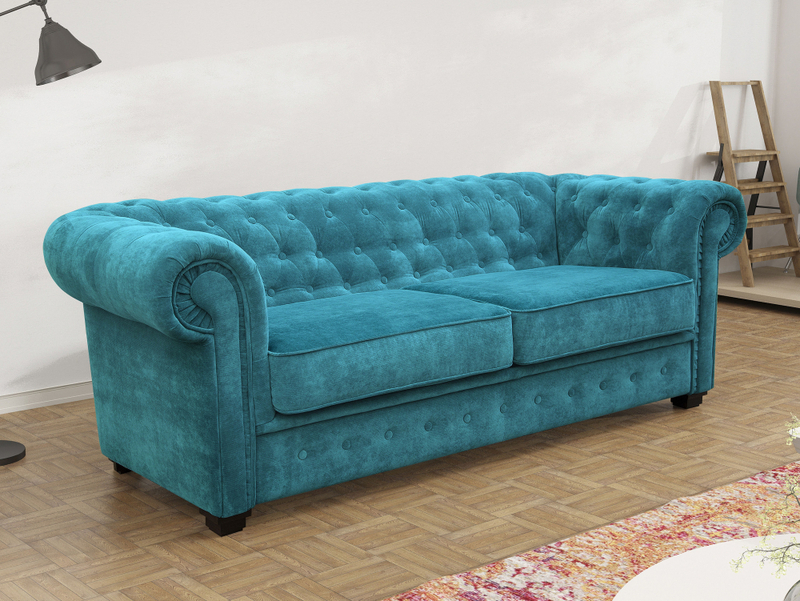 Sofa is a major furniture investment and it’s worth spending some time considering all the factors that will make the sofa you buy perfect for your needs. Follow our tips to choose the sofa that fits your design scheme, fits your family’s lifestyle, and – last but not least – actually fits the space you have available. First things first: what is it for? The main use of your sofa will determine the best design. Is it mostly for lounging and relaxing? Then softer, deeper, lower-back design will probably suit you best. Are you likely to sit on the sofa while eating, or in a more formal entertaining situations? More upright, higher seats with firmer cushions might be a better idea and suit more formal and traditional interiors better. - 16-18 inches: more like a chair than a cosy lounging space. - 22-26 inches: good for sitting comfortably without sinking, and just possible to stretch down on. - 30 inches and more: so deep that you might never want to get up again, can easily be used to sleep on. And while on the subject of sleeping: is your sofa going to be used for sleeping, either regularly or occasionally? It’s perfectly possible to sleep on a larger non-extendable sofa, but a sofa bed might be a better option for regular dual use (sometimes you even get a bedding storage space within the sofa). Leather sofas are often slippery, so it’s harder to keep bedding in place – if you get frequent “couch surfers”, fabric-covered sofa is a better option. Measure everything – this includes the space for the sofa in your room, but also the width of the room’s door, the hall and the main door; and if you live in a flat or want the sofa for an upstairs room, don’t forget the staircase. You don’t want to end up with a piece of furniture that won’t fit through the door. Length of the sofa can be an issue when going round the corners – so make sure it will fit! Inside the room, especially if it’s on a small size, also measure everything. It is also useful to make a to-scale drawing of the whole room. Cut out to-scale shapes of the possible sofas’ footprint from cardboard and move them around your room plan, to see how and where they fit. When making the cut-outs, don’t forget to allow for the overhang of the arms and the back. Once you made your choice in principle, use masking tape to mark out the space on the floor in the actual room, to get a better feel for the fit. Sofa should not be pushed right against the wall, this makes the room look more cramped and doesn’t allow the upholstery to breathe, so leave some space behind it, even in a small room. Light colours and pale no-pattern fabrics look great on Pinterest, but do consider practicalities – if you have kids, pets or do a lot of snacking and drinking on and around the sofa, you might want to sacrifice some of those serene creams and pale greys for less cleaning, washing and longer life of your upholstery. Read more about choosing the right covers in the next part of this guide. Curvy, flowing shapes fit traditional design schemes better, while more geometric ones go with modern interiors. Corner sofas work well in contemporary rooms, and in large, open-plan designs. You can also fit more people on a relatively smaller footprint. Sofas with exposed legs can make the room appear more spacious as they make more of the floor visible. This is one of the most important aspects of choosing a sofa, and the one place where you might need to make some trade-offs between looks and functionality, but with some planning, you shouldn’t need to compromise too much. Have you fallen in love with a pale green or yellow sofa, but are worried about stains? Consider removable fabric covers that can be washed or pretreated fabrics that are stain-resistant. Do you like velvety or fluffy textures but have pets? Faux suede is saferer for allergy sufferers, yet still has that soft tactile feel. Generally, though, tightly-woven, smoother fabrics in darker colours or patterns are the best choice if you have children, pets or less-than-perfect housekeeping habits. Velvet, chenille or natural, textured wool are better for more formal rooms or if the sofa isn’t used every day. And finally, although usually more expensive than fabric and offering less of a colour and pattern choice, leather is durable, easy to maintain (just wipe any spills clean), and better for allergy sufferers as it doesn’t accumulate dust or pet hair. The more solid the frame – ideally, made from solid hardwood with screws and dowel joints and not chipboard – the more robust and long-lived your sofa will be, although you might need to pay more for such durability. The filling material also makes a difference: foam wrapped in feather is both practical and comfortable. Cushions with springs will also add to both durability and comfort.